At the risk of earning the title “Captain Obvious”, different forms of racing require different approaches to the design of the engines powering the contestant vehicles. While that seems obvious, one of the forms of motorsport we aren’t familiar with personally, is the off-road race truck world. 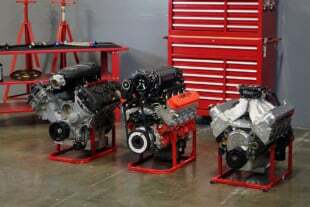 So when we caught wind of a build going on at Nelson Racing Engines for exactly that kind of racing, we decided to take a deeper look. Designed for a “Pro” off-road truck class, there were very few rules surrounding the engine build. 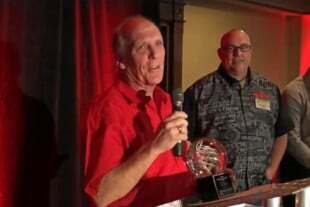 “For that particular motor, the customer told us that it was an open rulebook, with the exception of forced-induction,” says Tom Nelson, Nelson Racing Engines’ namesake. With a blank sheet to design from, but far from a blank check to work with, Nelson set about putting together an engine with durability in mind, over squeezing out every last horsepower, for significantly less money than other entries in the class. 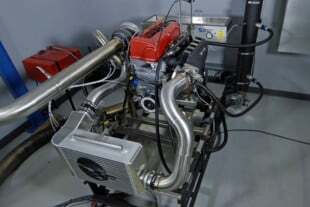 This engine started life as an LSX 454 crate engine, which Nelson Racing Engines promptly rebuilt, only retaining the engine block, forged 4.125-inch-stroke crank, and the 6.00-inch forged 4340-steel connecting rods. Oh, and the valve covers. 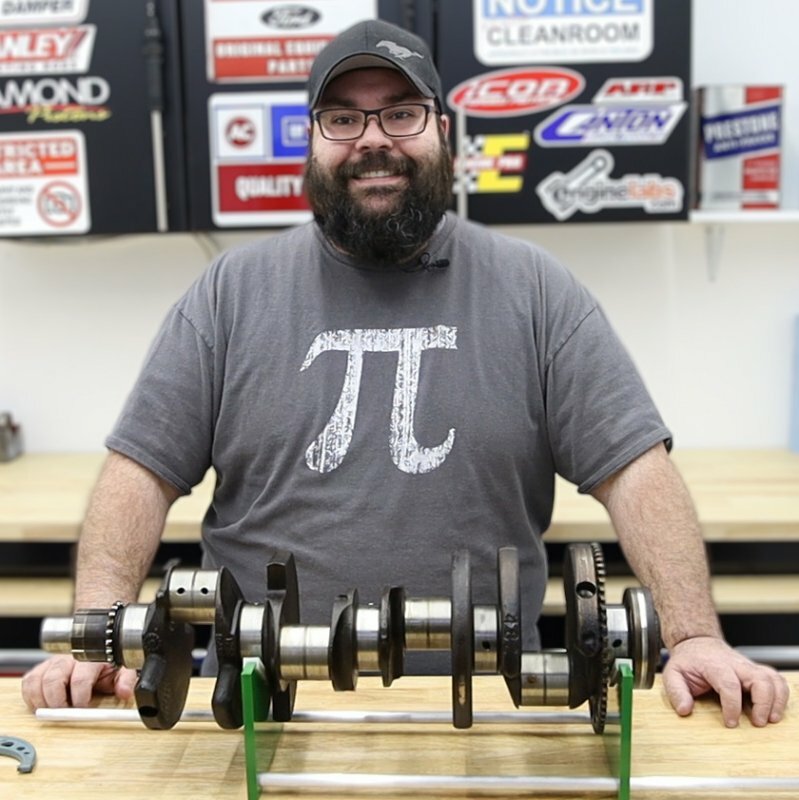 Starting with a 9.240-inch-deck Chevrolet Performance LSX 454 short block, Nelson retained most of the LSX 454s rotating assembly, using the GM LSX forged 4.125-inch-stroke crankshaft and forged 4340 steel LSX connecting rods to handle the constant free-revving the engine sees when the tires unload. However, hanging off the forged rods are a set of custom NRE-spec JE 4.185-inch pistons, with a mild dome, to create an 11.5:1 compression ratio. A Hellfire top ring is spec’d to stand up to the long-term abuse the engine will face, along with a reverse taper second ring and standard tension oil ring. A Cloyes timing set keeps everything in time, while Clevite H-series bearings keep everything running smooth and with as little friction as possible. NRE used ARP2000 head studs in the build, which allows for an extra 20 lb-ft of torque to be applied to the head studs. That, combined with the six-bolt-per-head configuration makes for some significantly increased clamp load. 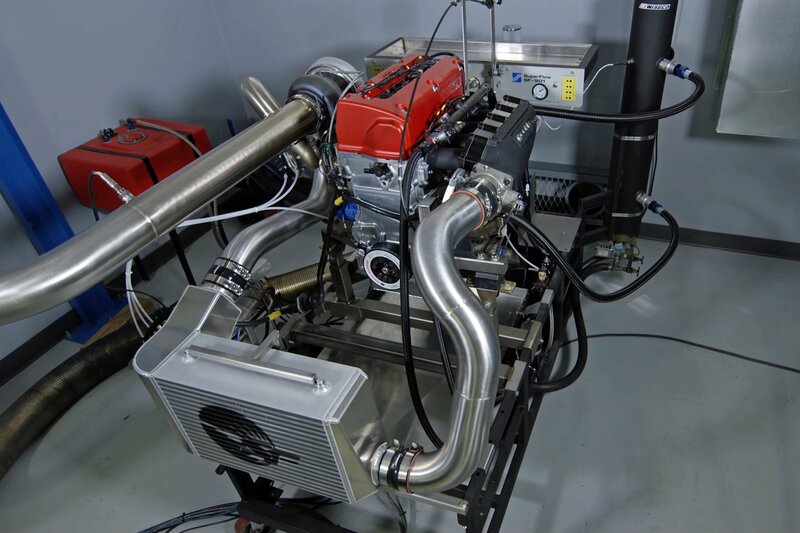 The trick Dailey Engineering LS dry sump system incorporates a five-stage pump into the billet pol pan, for an exceptionally clean and functional package that doesn’t take a whole lot of engineering to make work correctly. Moving to the top of the engine, the LSX-LS7 heads that came on the LSX 454 were replaced with a pair of Brodix STS BR 7 BS 273 heads. 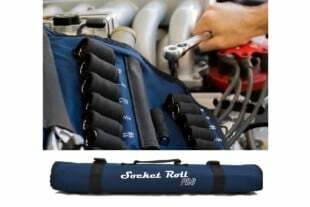 What that mouthful of a name means, is that they are Brodix’ LS7 replacement heads, with a 12-degree valve angle, 273cc intake port heads, which flow over 400 cfm through the intake ports at only .650-inch of lift, and 258 cfm through the exhaust at the same lift. The custom NRE-spec pistons by JE only bring the compression ratio up half a point from the original 11.0:1. However the much improved ring pack make the swap worth it. The “BS” in the cylinder heads’ name, stands for “Big Spring” and is designed to accept up to a 1.625-inch diameter valve spring. A 2.25-inch titanium intake valve with a 50-degree seat angle and 1.614-inch Inconel exhaust valve with a 45-degree seat angle meter the intake and exhaust charges, and are controlled by a set of Jesel shaft rockers, designed specifically for the BR7 big-spring heads. Continuing with the theme of sheer reliability above all else in the valvetrain, Nelson chose a set of Crower EnduraMax solid roller lifters that do away with traditional needle bearings and instead use a bushing, which Crower calls the “Needleless Bearing Option” or NBO. Coupled with the HiPPO high-pressure pin oiling option, the lifters are about as bulletproofed as you can get. Sitting between the lifters and the rocker arms, are a set of Smith Brothers’ .145-inch wall-thickness pushrods. 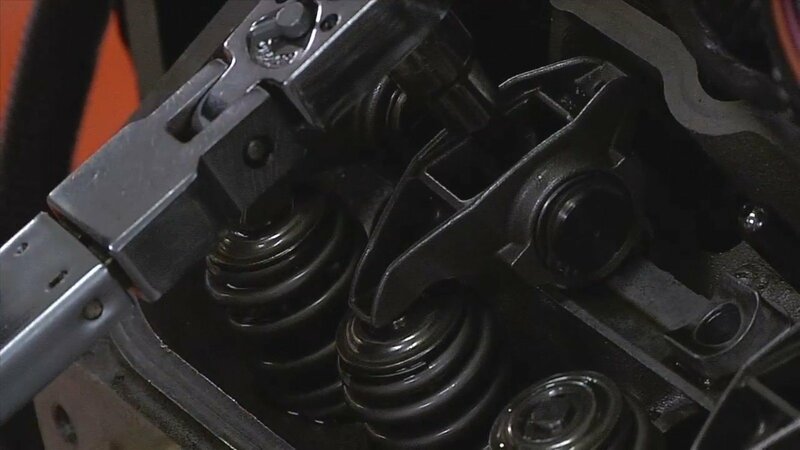 By using physically larger 1.55-inch diameter springs, even at relatively low rates – 475-500 pounds of open pressure, in this case – the lifespan of the valvespring is greatly increased, as the load is spread over a greater area. The camshaft chosen for the engine isn’t easily explained through lift and duration alone, as Nelson put a significant amount of thought into the lobe shape. “We used a solid roller, but it was a gentile solid roller,” Nelson says. “The radius of the cam is very smooth so that it is very stable. It’s not like a drag race profile, but designed more for high endurance.” While the lift specs weren’t divulged, we can guess at that number based on where the flow numbers of the heads were rated. Nelson did disclose the duration numbers at .050-inch of lift, with 259 degrees on the intake and 264 degrees on the exhaust. With these heads, NRE opted to go for a 2.25-inch titanium intake valve, and a 1.614-inch Inconel exhaust valves. inside the 71cc chamber. On top of that unique intake manifold sits more uniqueness, in the form of a Carb Shop-modified 4150 carburetor, on a Dominator-style base. “We took a regular 4150-style carburetor, and bored it out so that it would flow 1,000 cfm,” Nelson says. But the modifications aren’t just limited to flow, because if that was the case, the team would have just gone with a 4500-series carb and been done with it. 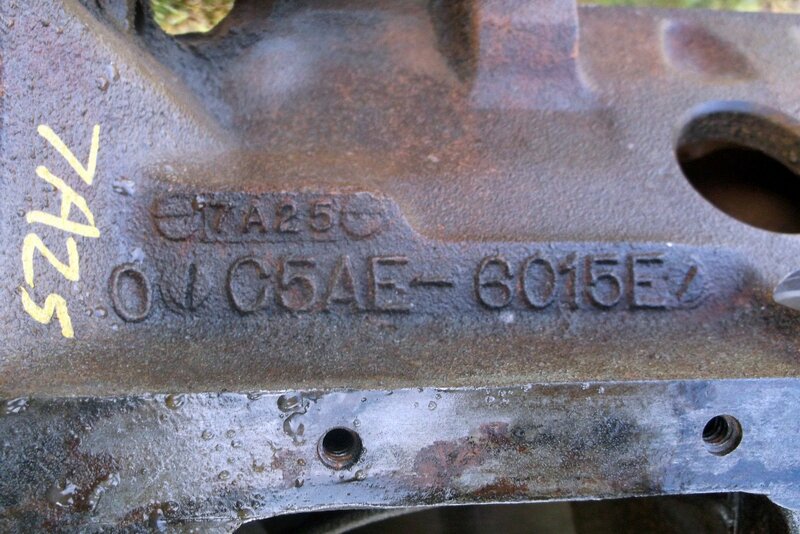 “The signal is a bit weaker to the carb in this engine, especially with all that plenum volume. I didn’t want to go to a Dominator, because I wanted a little better transient response from the carburetor,” Nelson explains. The Competition Induction Designs BE 4.0 LS7 intake manifold is a beast. With its massive plenum volume, Nelson was concerned with the transient response he’d get from a 4500-size carb. So he had Bob Vrbancic at the Carb Shop whip up a 4150 that flows 1,000 cfm and has incredible response. 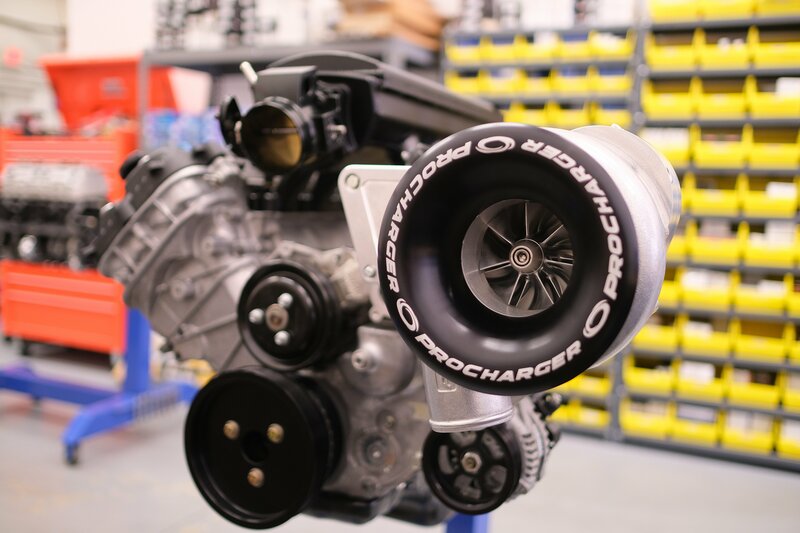 When all was said and done, the engine spun Nelson’s engine dyno to the tune of 707 horsepower, and 610 lb-ft of torque. What is really impressive, is the air-fuel ratio numbers never fluctuate more than half a point under load during the dyno run, with a carburetor. The final results for this LSX 454 destined for the dirt are pretty impressive. 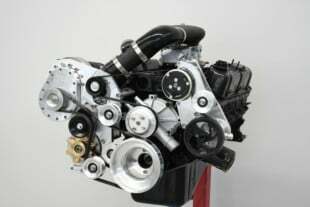 While the power and torque numbers are fairly conservative, look at the air-fuel ratio, and consider the fact that this engine should withstand several seasons of abuse in the harsh desert environment. Remember how we mentioned that there was a conscious tradeoff for reliability over maximum power? “Taken care of correctly, this engine should last several seasons,” says Nelson. 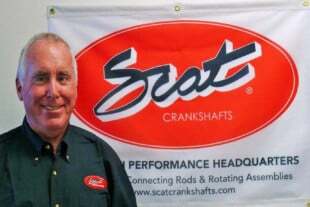 “We have relatively low compression, a mild cam, and it was built so that he wouldn’t have to be messing with it every weekend. He can go out and run in the middle of the pack, without breaking anything.” Sometimes the elegance of an engine is in the details, and this engine is a perfect example of that.